Reading Books and Remembering Places – The Bookshelf of Emily J. Let us start with a Beatles’ song. Let me dedicate it to books. Books tend to evoke memories of place for me. I usually read on my couch or in my bed (and now in my university’s library), but sometimes I read in less-than-ideal (or more-ideal) places, and whenever I remember the book, I remember that place. Lonesome Dove (1985) will always remind me of Cabo San Lucas, Mexico, because I read it poolside. That was an ideal circumstance. I sipped limonadas, soaked in the sun (through sunscreen, because I have fair, freckled skin! ), and found myself lost in the world of the old west. Just thinking about it makes me want to order another drink and dip my toes in the pool. 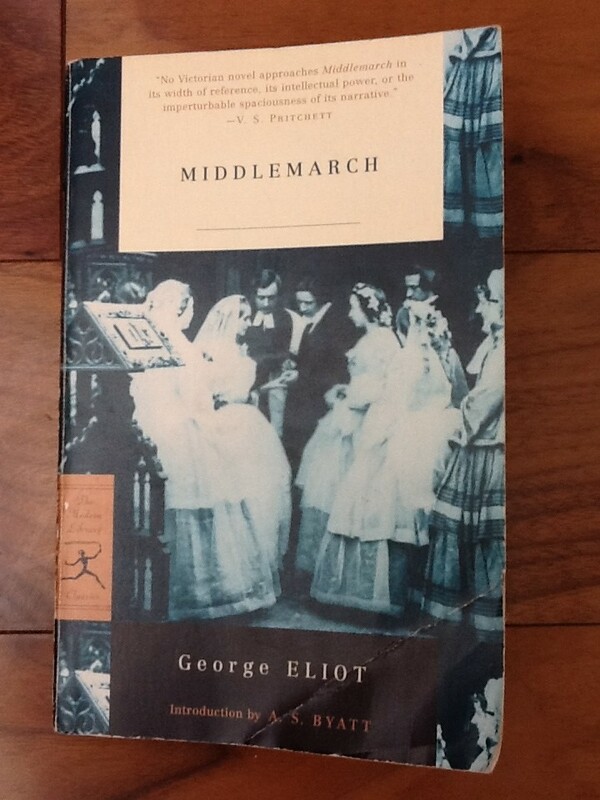 Middlemarch (1874) will always remind me of two places. The children’s climbing cage thingamajigger at Boondocks, a center with bowling, race cars, laser tag, and arcade games. I took my girls there to play one morning, and I got to sit and read while they sweated and climbed. It will also remind me of the Browning Center on the campus of the university where I used to work as an adjunct instructor of English. My daughter had a ballet recital take place there, so while I waited for her dress rehearsal to finish, I sat in the lobby on the most narrow and uncomfortable black leather couch in the world and read. I read Dante Alighieri’s Inferno (1314), number 76 on the BBC book list, in the arts and music building of the campus where I did my undergraduate work. I always think of that dark, yet towering commons area with hard stone seats and maze-like displays of art when I contemplate Dante. (Yes, I sit around contemplating those deep ideas all the time.) 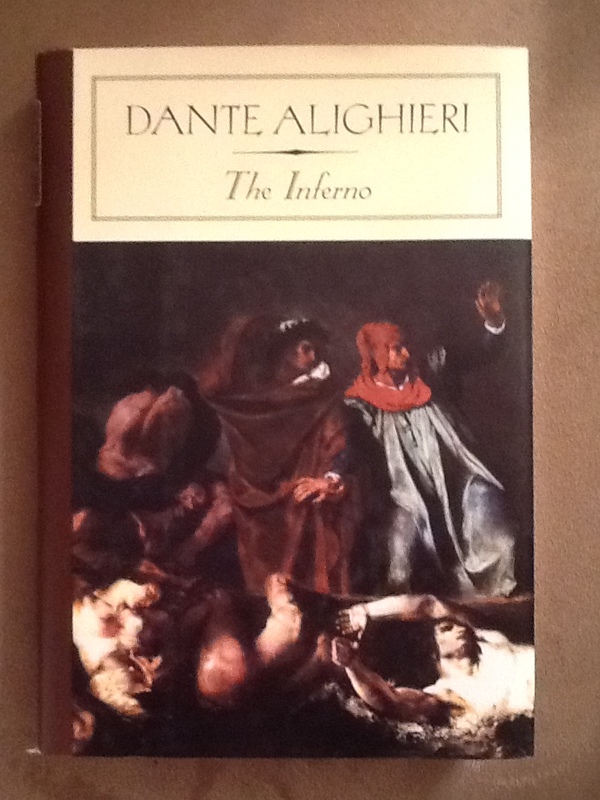 Reading the Inferno was obviously a class assignment, but I honestly got lost in its poetry and enjoyed each minute of my classical education. And it wasn’t necessarily because I understood, but more because I felt as if I were getting smarter and perhaps more enlightened. I was young and dumb then. I will always think of riding bus number 472 into Salt Lake City when I remember Goodbye, I Love You (1986). The reason is mostly explained in this post, which I consider to be one of my best. Unfortunately, I also reread this book in December 2011, while in bed suffering from a violent stomach flu. Now I’ll never forget that miserable few days. Pride and Prejudice (1813) reminds me of the room I had as a teenager, with lacy pink and green bedding, a Garbage band poster and The Fugitive movie poster on the wall, and an extremely distasteful shelf full of ugly stuffed animals. 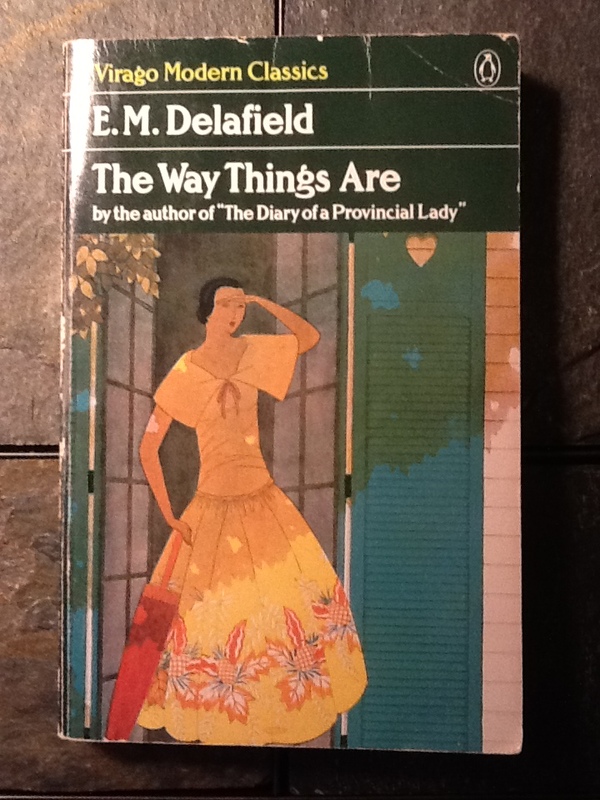 I read it in one week, part of my mom’s requirement for summer reading and the book club I had with her and my sisters. What books and places do you remember? I usually associate books with people, not places, but now that I think about it, I do have memories of places attached to certain books. Anything by the Brontes will always remind me of Oxford and the Bodleian library, as will Johnson’s Dictionary and The Canterbury Tales. Pamela will always remind me of my British lit survey class, and Hard Times will always remind me of my British novel class. I hadn’t thought about people. I’m not sure if I do that. Do you mean people who gave you the book? Or does the book remind you of a certain person because of similarity to characters? Really enjoyed this! I completely agree with the fact that books make recalling memories all too easy. Yes, they do! I am glad you enjoyed it. Ha ha ha! I have those lovely memories, too, but unfortunately no books to associate with them! Ah, siblings. I have been re-reading Joseph Conrad’s rembrances of his past and he remarks lovingly about how important books were to him. I pity those who read kindle and won’t have those terrific associations you list here. Yes, that’s a good point. Perhaps another argument against e-readers! I don’t know why but I always find it impossible to read on an airplane. My favourite place to read is in my room on my bed. I read Ray Bradbury all year my last year of teaching. Strictly enforced silent reading time, and shared his best sentences with the students. Had to buy a few extra copies for the kiddos! Very cool, and how nice of you to buy copies for everyone! This is such a lovely idea, and I loved reading what each book evoked for you! When I look at my books on my bookshelves or reread a book, I love that feeling of returning to a specific moment in time; it’s almost like a photo album. That is so neat to compare them to a photo album. So true! I am glad you enjoyed my reminiscing. Excellent and evocative post. (It inspired me to begin a similar post on my own blog.) I will say that I, like you, tend to associate place and music with special books. And, my sense and location memories for “Lonesome Dove” are particularly vivid. That was a favorite and intense time in my life. Thanks for reminding me how lovely and encompassing the act of reading can be! You are most welcome! 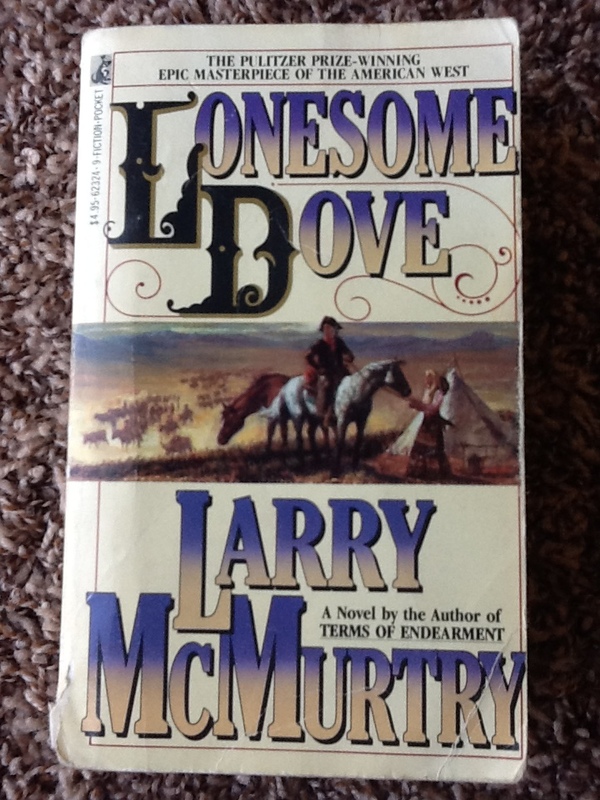 So, what was your experience with Lonesome Dove? Good, I hope! I would also love to see your resulting blog post. I also loved “Sense and Sensibility”, along with your “Pride and Prejudice.” I liked “Lonesome Dove.” I liked T.H. White’s version of Camelot in “The Once and Future King.” I like for fun, the Janet Evanovich mystery, bounty hunter adventure books. I am up to #18! You are so good at your reviews it makes me want to be a more involved reader! Thank you! What a fantastic compliment. Hearing that makes me want to keep writing them! I love the image your words provoke of a salt-stained paperback. Reading on vacation is certainly a great place for relaxation. My dad loves Follett, too. Good stuff! Thanks Emily. You can tell which books were read at the beach as the paperbacks have more curved up corners from drying out from wet fingers and salt. I read the entire Harry Potter series while riding the light rail to my first job, a public accounting firm in downtown Denver. I would even read as I walked to my building/office. I remember standing by the elevator finishing a chapter and reading just one more chapter because I couldn’t put the book down. I remember dreading getting on the elevator and going to work because all I wanted to do was continue reading. 🙂 When I think of Harry Potter, I also see the green marble counters of the lobby area around the building elevator. What a great memory! I always wanted to extend my reading (instead of working) when I commuted, too. I love the image of the green marble countertops. So, since you like children’s books, have you read all of the Little House on the Prairie books? I just listened to the rest of them on CD while driving to school (since I enjoyed rereading the first few with Olivia) and just loved them, again. Pingback: Don’t Bother to Read Dan Brown’s Inferno | The Bookshelf of Emily J.